Zoya Ornate Collection Bonus Photos! 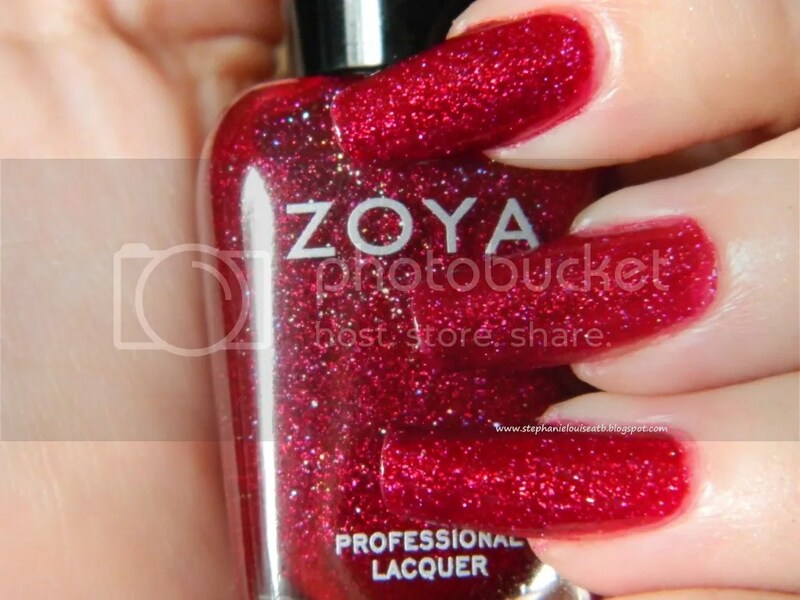 You saw the glory that were the Zoya Ornate Bottle Shots then the Swatches of each shade…so what is this post? Well, if you have ever tried to photograph holo polishes…then you know some of the best shots aren’t exactly the most accurate! While I direct you to my Zoya Ornate Swatches for clarity & color accuracy, I couldn’t help but share these fabulous “flub” shots. Is there anything more fabulous than holo glare? The only one I didn’t get flubs of was Ziv…seriously it photographed perfectly! So…can you believe how good these bad photos are? Ah. Hopefully this helps you guys see my absolute obsession with the Ornate Collection, I can’t imagine not owning them all! Which flub photo is your favorite? I adore the one of Storm…the glare almost looks like little bats! Hello Halloween! **These polishes were provided in consideration of review, all opinions are my own.